Many people say that you cannot help whom you fall in love with. On the other hand, those same people usually say date within your own race. Sellout by James W. Lewis covers this topic of interracial dating. Penelope Miller is a caucasian bombshell that fall for the man she believes could be the one. Penelope does not believe her family will approve since he is of another race. Tammy McDonald is a loan officer that has not had luck in the relationship department. After Tammy meets, Dale Bristol it seems their relationship starts to grow and Tammy’s luck is turning around. Terrell Jackson a black optometrist has decided to date outside of his race. Terrell gets this ideal because he cannot deal with his girlfriends accusations. Dedrick meets a wonderful woman and their relationship is starting to blossom. Later in their relationship, Dedrick starts to realize that things are not as they seem. 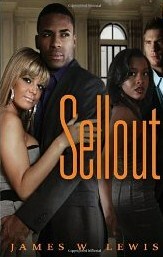 Sellout is about dating and the decisions four individuals will have to make regarding their relationships. Readers will be on the edge of their seats anticipating what will happen next. The author’s connects these four individuals in unsuspecting ways that are entertaining and exciting. I definitely recommend this book to others.